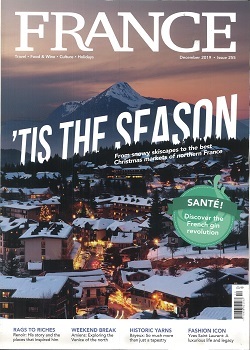 Spectacular scenery, vibrant cities and charming villages, FRANCE magazine brings you the very best of France. Featuring inspiring articles on weekend getaways, destinations and holiday ideas, an intriguing food and wine section for French foodies as well as articles revealing the hidden depths of France’s history and culture, it really is the next best thing to being there! Our monthly language section is an essential guide to improving your French, while our section dedicated to La Culture brings you book and film reviews along with interviews with A-list French stars, and France-loving celebrities. With columns from top authors Stephen Clarke and Carol Drinkwater, the magazine is the ultimate way to indulge your love of l’Hexagone between visits, and the best way to plan your next trip away.